Interdisciplinary care teams play a vital role in improving patient care and quality outcomes by treating the whole patient — physically, nutritionally, emotionally and psychologically. To do so, team members must be on the same page regarding the information and resources they use. 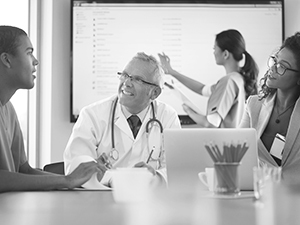 EBSCO Health’s suite of evidence-based point-of-care resources give them the support they need.